Not even 24 hours after Slaves revealed the tracklist for Through Art We Are All Equals the band started releasing short clips of each track from it. They’ve already unleashed two full songs, so clips for all of the other nine tracks can be heard below the jump. Many fans have been anxiously waiting for this album to come out. 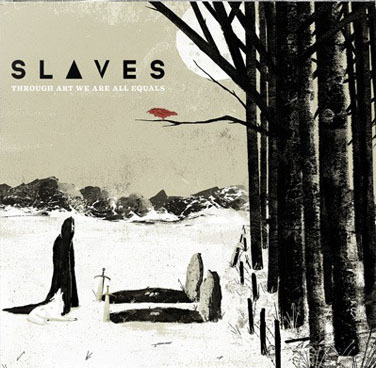 Jonny Craig hasn’t been a part of a full length album with a band in quite some time, so it will be interesting to hear what they have to offer. Through Art We Are All Equals will be hitting stores June 24, and pre-order bundles are available for purchase by heading to MerchNow.